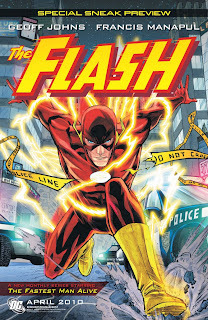 In catering for the varied tastes of comic fans, DC have chucked up two previews for April's Flash #1. 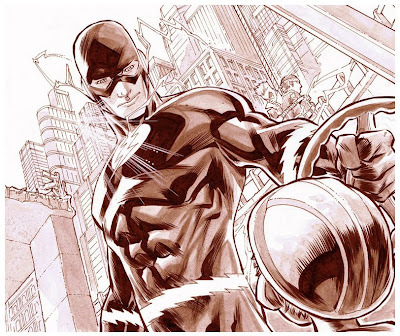 One coloured and complete, with a few choice words from writer Geoff Johns thrown in for good measure, and one with just the amazing raw pencils of Francis Manapul, saying it all in simplicity and style. Yip, that says it all.